The IRIS GPR is offered in four versions, which are described below. 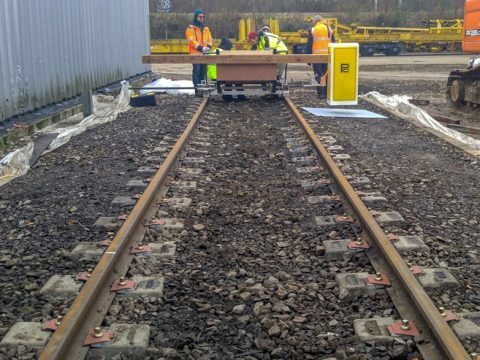 A complete GPR system typically consists of a control unit, antenna(s), cables, software and other optional accessories, which may include GPS, vehicle mounting structure and/or transport cart. A general description of Penetradar's GPR systems are provided below. The Penetradar Integrated Radar Inspection System (IRIS) is an automated radar based system for high-speed, non-destructive surveys, solving the problem of radar data interpretation and ease of use. The IRIS consists of ground penetrating radar, data acquisition hardware and IRIS Software, all integrated into a highly automated, turn-key inspection system that requires little knowledge of radar signal interpretation to operate effectively. Designed for use at speeds of 60 MPH (100KM/H) the IRIS “sees” into the ground, automatically acquiring and storing digitized radar data on hard disk for subsequent processing. 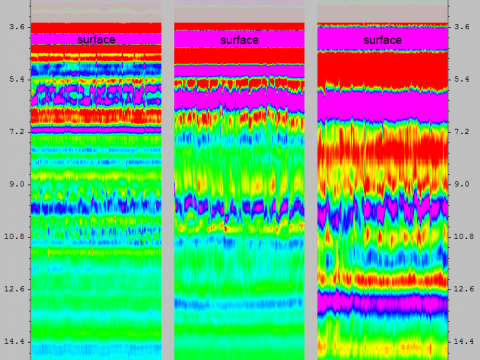 IRIS Software simplifies the task of data analysis and consists of automated and computer assisted programs which require limited user input and provide 2D & 3D subsurface profiles and plan-view subsurface mappings of the area inspected. Complete, integrated and automatic, radar/data acquisition/data processing system for high-speed inspection applications. Installed with up to four contacting or non-contacting antennas. Advanced Windows based Data Acquisition and Processing software providing quantitative output in graphic and numerical format. Rugged, design for vehicular installation. Uses include the high-speed evaluation and testing of pavements, bridge decks and runways. The Penetradar Integrated Radar Inspection System Version L (IRIS-L) is a lower cost, dual channel GPR system with features and performance similar to the standard IRIS GPR. Designed for applications that require the simultaneous use of up to two antennas, the IRIS-L is the system of choice. This system combines portability, low power and multiple antenna operation while maintaining compatibility with all Penetradar software. Installed with up to two contacting or non-contacting antennas. Digital User Interface with Standard 19" External LCD or Optional Built-in LCD Touchscreen. Rugged, design for vehicular installation or portable field use. Uses include the high-speed evaluation and testing of pavements, bridge decks, runways, site surveys and general applications. 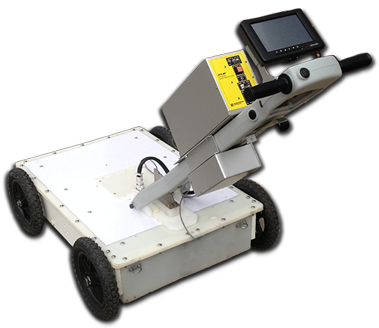 The Portable Integrated Radar Inspection System - IRIS Version P is a self contained, low cost single antenna ground penetrating radar system designed for applications requiring field portability. 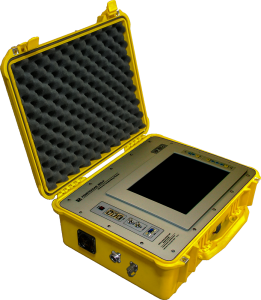 The IRIS-P includes a digital GPR control unit and real-time data acquisition/processing system with high intensity 12 Inch SVGA data display, touch screen control and internal hard disk storage. This system was designed to operate with all of Penetradar antennas and IRIS software. Standard features of the IRIS-P include DMI input for distance tagging, USB data ports for data download and connection of peripherals, GPS port and IRIS Software. The Man-Portable Integrated Radar Inspection System - IRIS Version MP is a self contained, low cost single antenna ground penetrating radar system designed for applications requiring field portability. 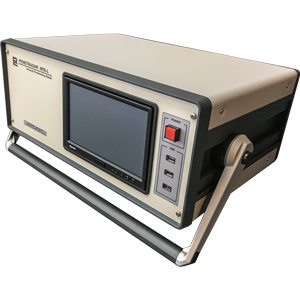 The IRIS-MP includes a digital GPR control unit and real-time data acquisition/processing system with high intensity LCD data display, touch screen control and internal hard disk storage. 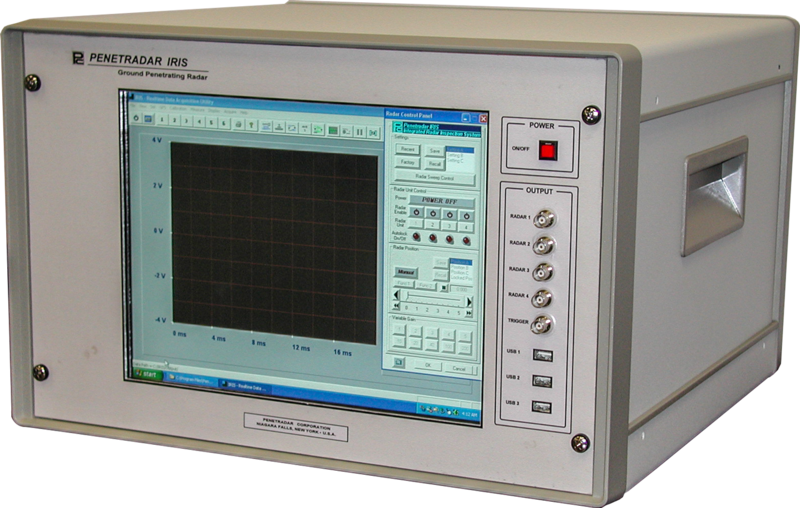 Standard features of the IRIS-MP include DMI input for distance tagging, USB data ports for data download and connection of peripherals, GPS port and IRISDAQ Software. The different configurations of the IRIS Version MP are discussed below. The IRIS-MP-32AGC system uses a non-contacting 1ns/1GHz mini-horn antenna (0.5ns/2.5GHz optional) for recommended uses of manual subsurface site inspections, concrete evaluation, layer thickness and rebar depth measurement. 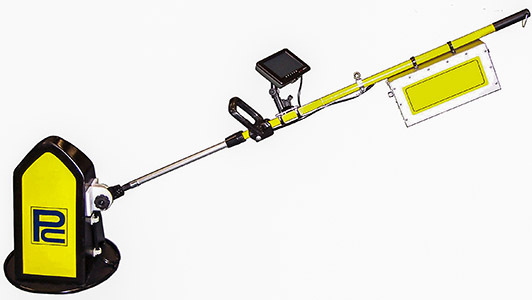 The IRIS-MP-301B/401B/501B systems are broadband contacting ground penetrating radar antennas designed for penetration depth up to 12ft/10ft/6ft respectively. The IRIS-MP is suitable for all types of terrain and can be used in a wide variety of environments. Applications include subsurface pipe and utility detection, geotechnical and environmental applications including detection of buried UST and for general site surveys. Options - Several optional components are available, including additional battery packs and GPS receiver.